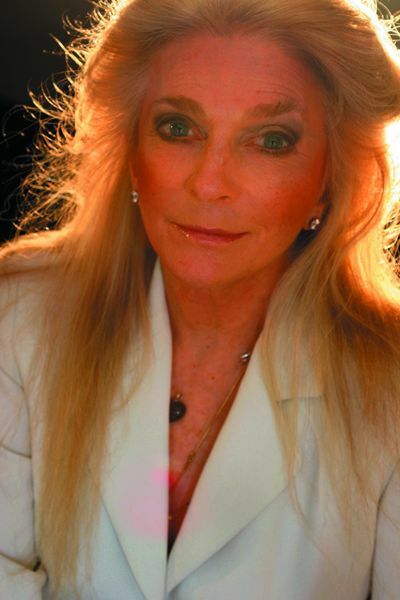 Special to the DailySinger songwriter Judy Collins performs a pops concert at the Bravo! Vail Valley Music Concert July 18. American folk icon Judy Collins has written more than 100 songs, recorded 45 albums and CDs and started her own record label, Wildflowers. But after nearly 50 years in the music business, one thing still remains the same.Its safe to say, song is the key, she said from New York. If its a good song, thats what counts. That never changes.Collins ability to bring life to other peoples songs landed her on the music map. Shes built a career on it. Her rendition of Joni Mitchells Both Sides Now, which appears on Collins 1967 album Wildflowers, was entered into the Grammys Hall of Fame. She won Song of the Year at the 1975 Grammys Awards for her version of Send in the Clowns, a ballad written by Stephen Sondheim for the Broadway musical A Little Night Music. Shes also covered Bob Dylan, Pete Seeger and Tom Paxton, among others. The soprano has boosted some careers herself, like poet and novelist Leonard Cohen. Shes recorded dozens of his songs, making hits out of Suzanne and Dress Rehearsal Rag, and it was with Collins encouragement that Cohen first performed his songs in public.I think of great songwriters as Gods and Goddesses. Bringing me gifts, as surely tagged with my name as though they had been written especially for me. I hunt, searching for the best, Collins writes in her autobiography, Trust Your Heart.Collins obviously has a knack for knowing a good song when she hears it, but its difficult for her to explain what makes a song worthy.Thats the mystery you have to solve, she said. Its a personal issue and the secret of my business. Its different for everyone.On July 17, Collins is set to release an album devoted to John Lennon and Paul McCartney songs. I love them and I love their songs, she said. It was time to do another album focusing on writers that I like. Next in the pipe line is Jimmy Webb. Its something I consider a career long enterprise.Collins didnt start writing her own tunes until 1967, six years after releasing her first album, A Maid of Constant Sorrow, but her music career began way before her first album hit the stores. She was born into a musical family. Her father, Chuck, was a singer, composer and broadcaster during the golden age of radio. By age 10, Collins was a bit of a child prodigy on piano, studying with mentor Antonia Brico, one of the first females to conduct a major symphony orchestra in the U.S. (She made a film about Brico, A Portrait Of The Woman, which received an Academy Award nomination for Best Documentary.) At 13, Collins made her public debut performing Mozarts Concerto for Two Pianos.But it was the folk stylings of Woody Guthrie and Pete Seeger that really hooked her, and she pushed away from the piano and picked up a guitar. Soon she was singing in the folk clubs in Denver, Boulder and Central City in Colorado. So performing at Bravo! this July is like coming home. Its not the first time shes played with the festival, and Collins plans on making extra time for Colorado family and enjoying the mountains.Collins performs July 18 at the festival and plans to sing Judy Collins songs, she said, everything from hits on her latest album, A Portrait of an American Girl, to the classics, like Amazing Grace, Someday Soon and Send in the Clowns. I love the festival. Its one of the best in the country, she said. Collins is a constant creator. Shes a singer, songwriter, musician, author and filmmaker, yet claims shes never felt burnt out.Keep at it. Thats the only secret there is. Thats how you learn. Keep at it and then you learn what it is you are supposed to be doing, she said. People burn out very fast, wasting their energy, diverting their interests, getting involved in the drama instead of the work. Avoid exhaustion and never stop working. That is really the key.Arts and Entertainment Editor Cassie Pence can be reached at 748-2938, or cpence@vaildaily.com.